FLAFFL is a fun and vibrant community of footballers born on the Fantasy Life App just like you who live and breathe the art of fantasy sports and competition! The Fantasy Football Funhouse Podcast Keeps On Rolling! Just like the NFL, fantasy football has no offseason and neither does the Fantasy Football Funhouse Podcast! We will be coming to you at least once per week throughout the offseason getting you ready for your dynasty start up drafts as well as helping you with your dynasty trade questions. And of course we will be going through all the draft prospects with some in depth analysis of who you should be looking to add to your team and talking all types of fantasy football with leading industry analysts! In season we bring you multiple episodes per week to get you ready to make those difficult lineup and trade decisions! You can listen to all the new Fantasy Football Funhouse podcasts as well as check out our archive of FLAFFL House Fantasy Football Podcast classics by clicking the link below! Ready to improve your fantasy football knowledge? Subscribe to our first class Podcast that has hosted big names in the fantasy industry like Matthew Berry, Christopher Harris, and More! 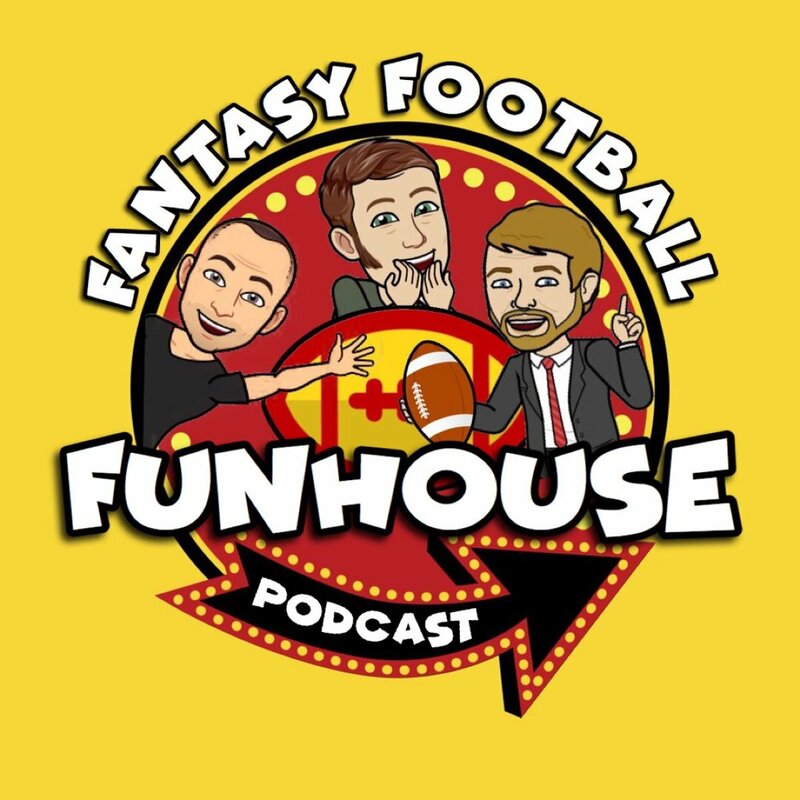 You can listen to all the new Fantasy Football Funhouse podcasts by subscribing using one of the links below! Check out all the previously published articles here! Everything you need to know about fantasy football from all of the featured Funhouse Writers! Download the fantasy life app today!